Asia is a hugely important market for Uber, but there are a few things standing its in way. First, of course, has been legal trouble. But, since Uber has legal trouble everywhere it goes, that's not surprising. The other big obstacle is competition from local services, which are raising huge amounts of money on their own. One competitor that seems to be raising money every few months is Singapore-based startup GrabTaxi. Just six months after it raised a $250 million funding round in December, the company is back with another big round and a big valuation. The ride-hailing company has now raised a $200 million funding round, according to what sources told the Wall Street Journal on Wednesday. The round, which was led by U.S. hedge fund Coatue Management LLC, has valued the company at $1.5 billion. 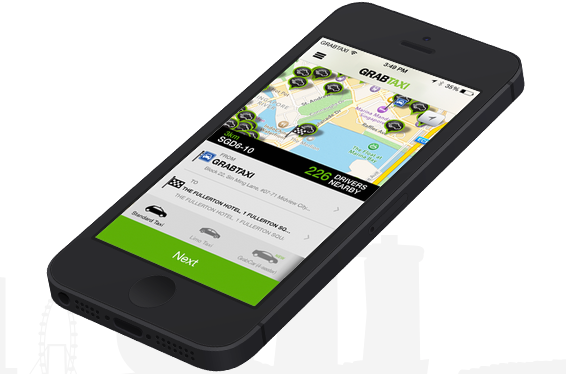 With this latest funding, in which existing investors in the company, including Japan’s SoftBank Group Corp. and Tiger Global Management LLC, also participated, GrabTaxi will have raised $530 million in total. The company, which was founded in 2011, operates in 22 cities across six countries. It it available in Kuala Lumpur, Putrajaya / Cyberjaya, Seremban, Malacca, Johor Bahru, Singapore, Manila, Cebu and Bangkok. Its app has been downloaded 4.8 million times, and it serving at least 620,000 every month. It is just one of numerous ride-hailing apps that have popped up in the region in the last few years. the most well known is likely Ola, which is known as the "Indian Uber." The company recently raised $400 million, giving itover $676 million in total funding. There is also Chinese company Didi Kuaidi, which is has raised $1.6 billion, and is said to be raising $2 billion more. All of these companies are going after Uber, which has been going after Asia aggressively in recent years. In 2013 it expanded to Singapore, South Korea, Taipei, Dubai, Shanghai and Bangalore. In April of last year came the big one: the company began rolling out its services in Beijing. India in particular is key to its success, as it became Uber's largest market outside of the United States in 2013. Earlier this year, Uber teamed up with Times of India Group to expand even further into the country. Uber restarted services in the capital earlier this year, even though New Dehli said it was still banned. So the whole situation is ugly and still very messy. The company could obviously use the good press. Uber’s services were declared illegal in Taiwan and a warrant was even issued in South Korea for Travis Kalanick, the founder and CEO of Uber, along with the head of MKKorea, a local rental-car service operator, for violating a law that bans rental-car service operations from conducting passenger-transport business using their cars. What all of this bad publicity has meant is that local services, like Ola and GrabTaxi, now have an opening to move in. And it looks like they are ready to take it. VatorNews has reached out to GrabTaxi for confirmation of the new round. We will update this story if we learn more.